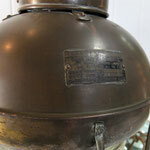 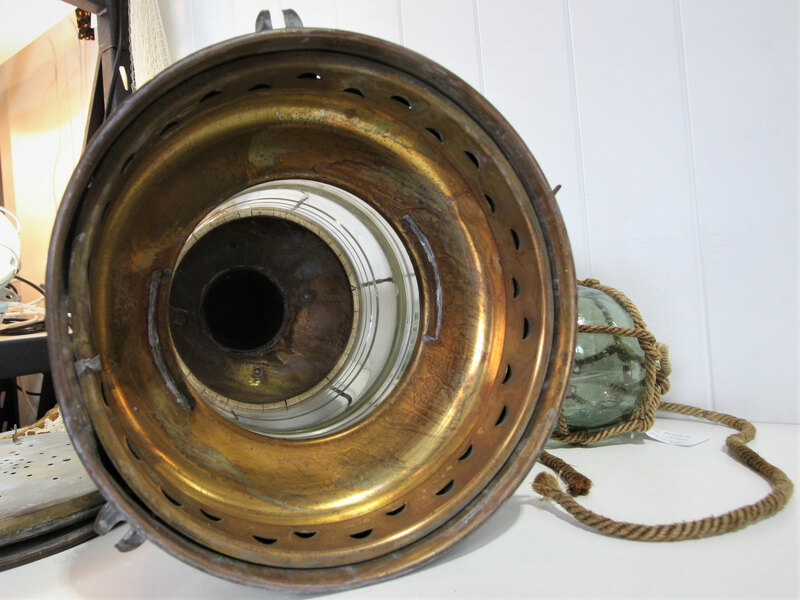 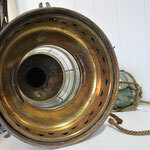 This is a wonderful, big old brass ship's lantern. 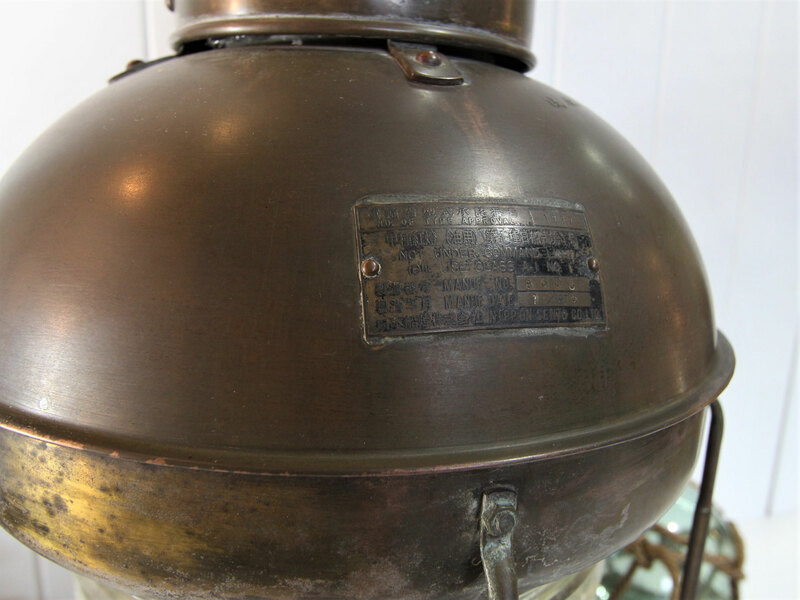 Made in Japan 1979, this Nippon Sento Co. oil lamp was used to signal 'not under command'. 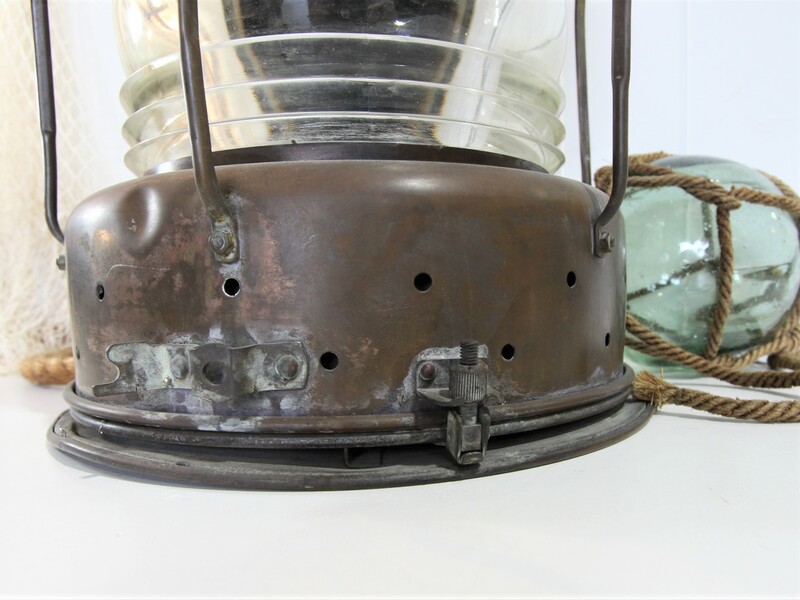 All the internal working have been removed, giving you the option to add a battery powered light, candle, or to have it wired by an electrician. 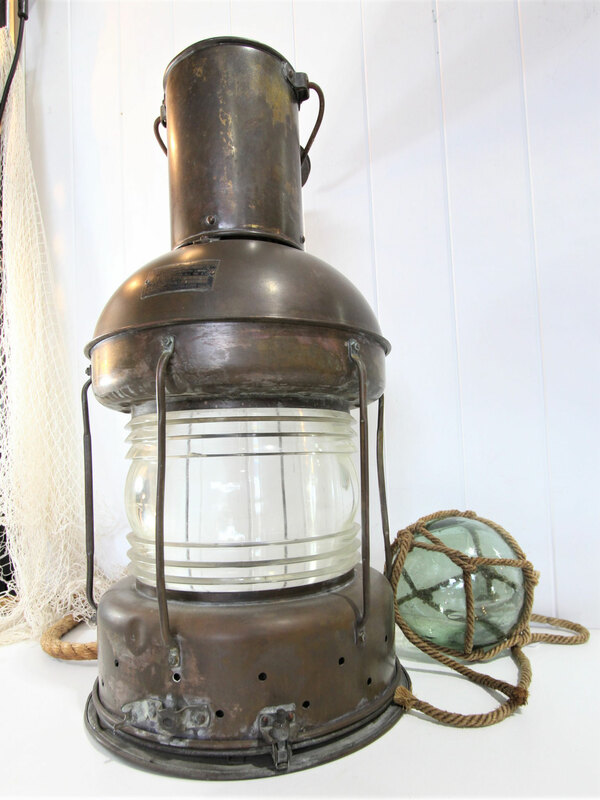 Such an amazing feature piece, it would look amazing on a sideboard or hung in an entry way. 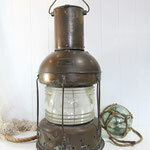 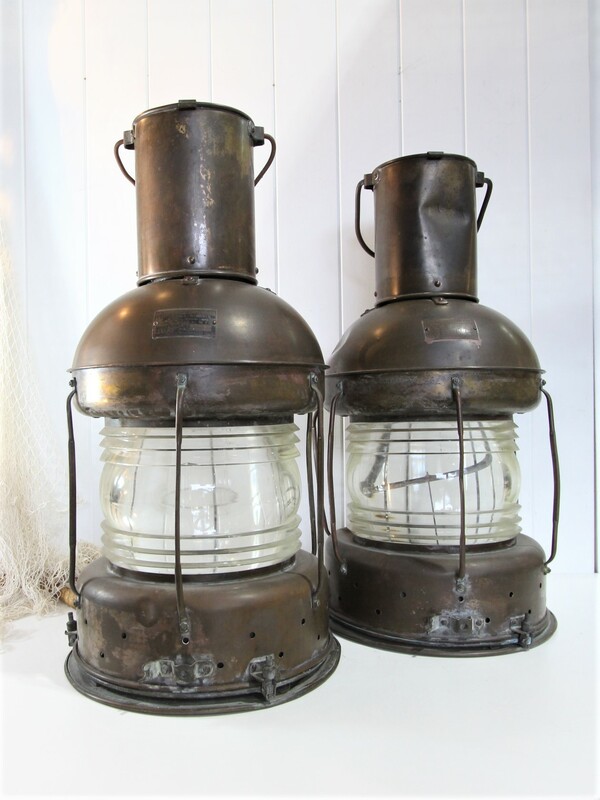 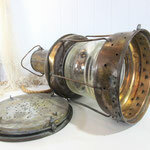 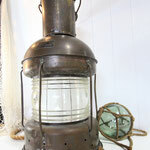 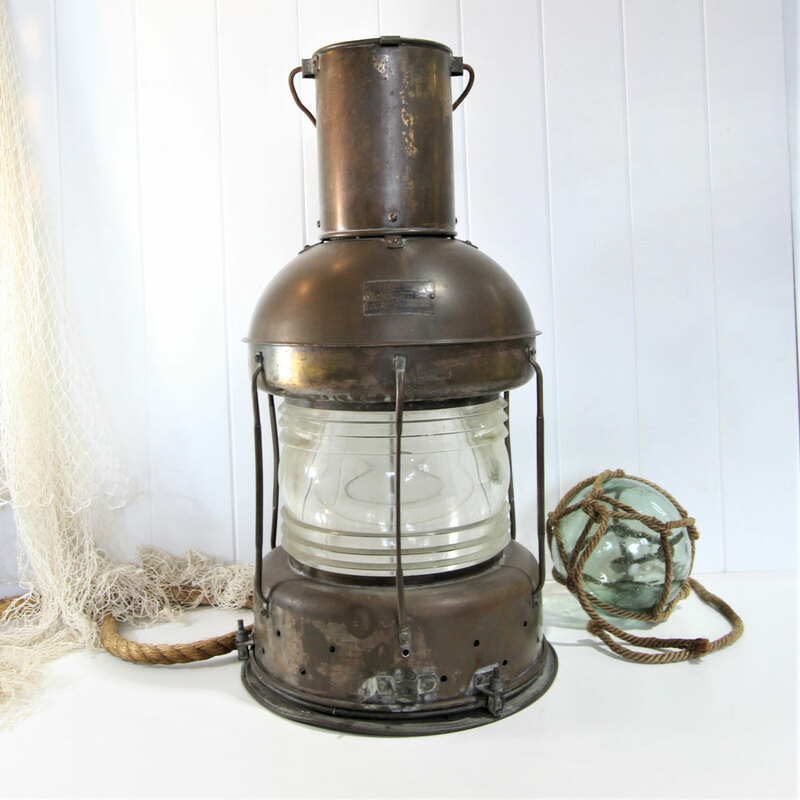 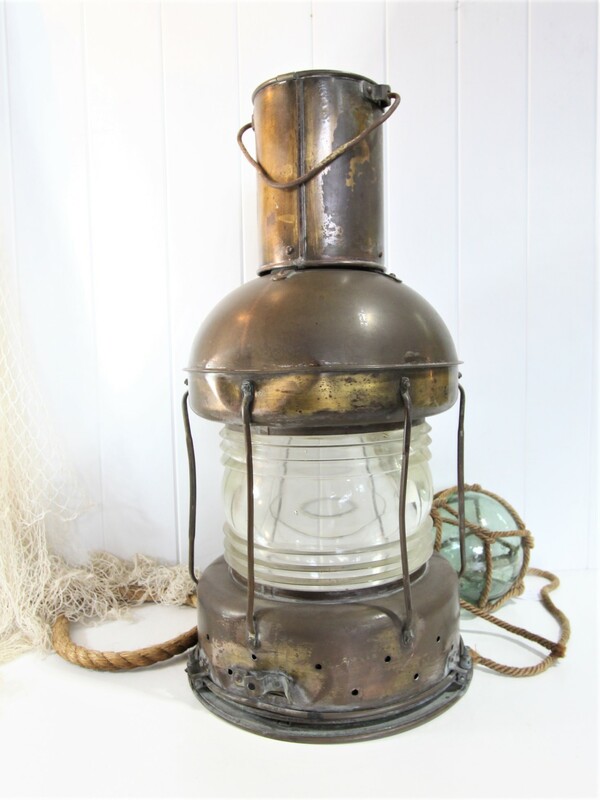 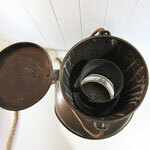 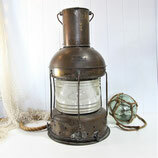 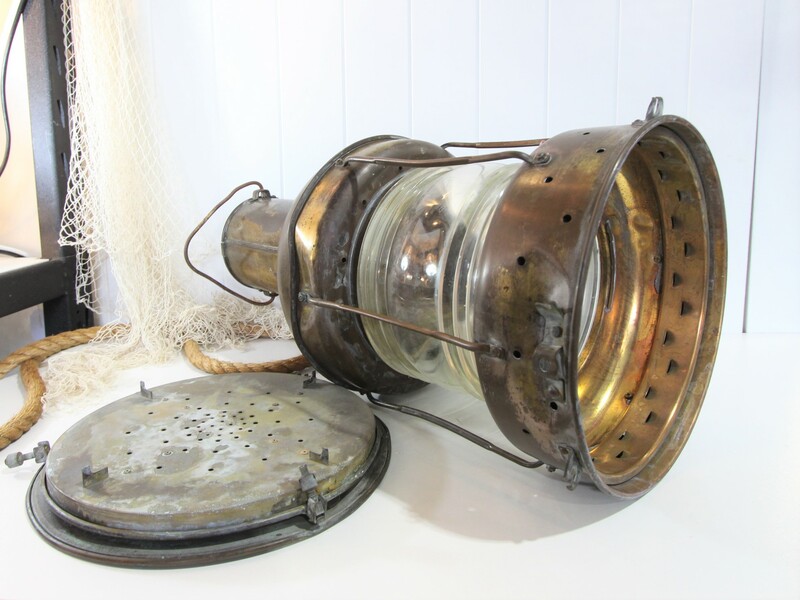 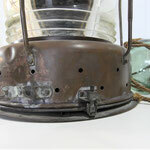 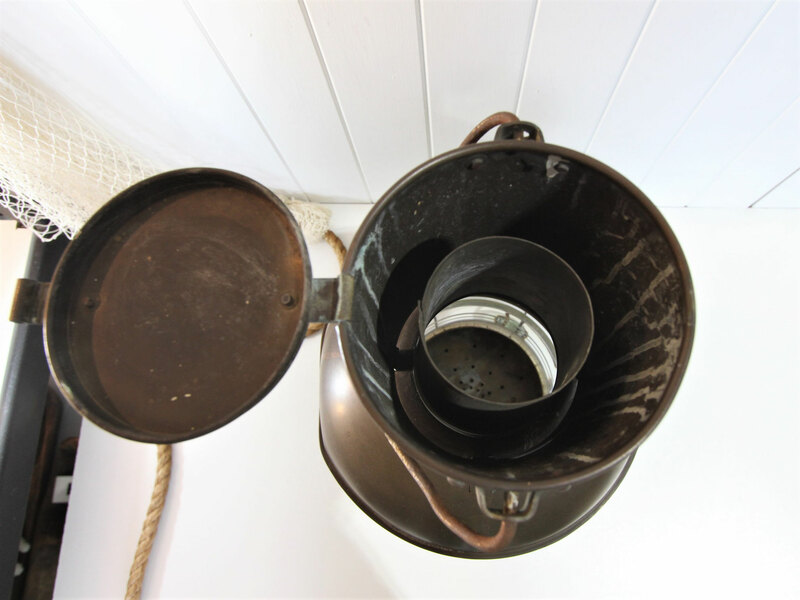 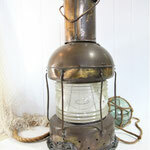 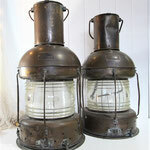 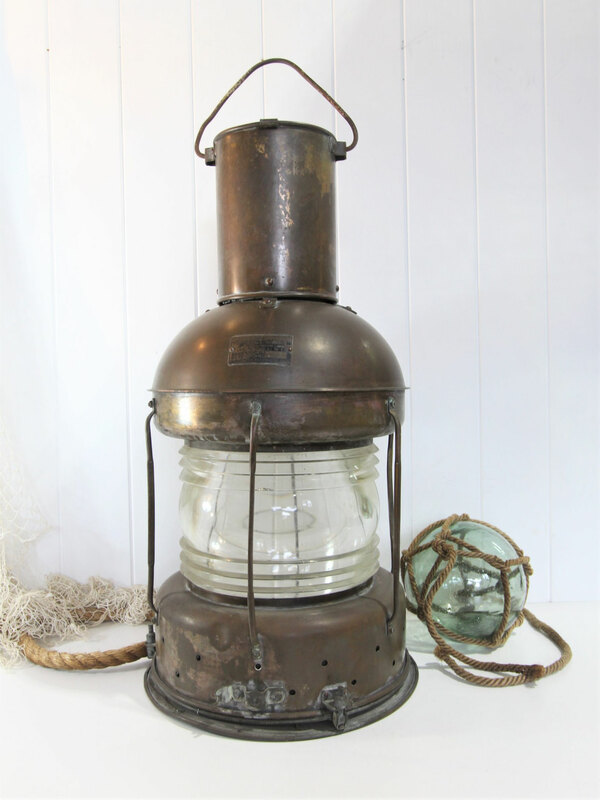 We also have another lantern very similar to this in store if you are searching for a pair.